Posted a parcel to our son, thought it would take a few weeks to get to him , as he lives in what is classed a remote area of Australia. I couldn't believe how quick the delivery was 4 days from the time they picked it up. If anyone needs a brilliant courier company then recommend Courierpointaustralian, they are fast reasonable and efficient. I will definitely use them again. You can track your package at every stage, so you know when it will be delivered to its destination. I sent a suitcase to Rome, and three days later it was there, it almost got there faster than the owner. She was relocating to Rome from Australia,and it dealt with the luggage allowance change between long-haul and European flights nicely! I looked at lots of alternatives for shipping a package to Australia and Courierpoint were the best price for a fully tracked express delivery. The package was delivered to my client 4 days after collection, I tracked it through the UK and received SMS updates for progress through customs etc in Australia. Courierpoint used DHL Express for this delivery and it was much better value to book through Courierpoint than go direct to DHL. Overall I'm very impressed with the service and I'll be using Courierpoint in the future. I have used your company twice now in sending parcels from Long Eaton in Nottingham to Australia, the first time the parcel took just 4 days from collection to delivery at the address, and the second time it was 5 days. It's great how I can track it, your very reliable and the cost is really good compared to the post office, I have recommended you to my friend who regularly sends parcels to Russia through the post office which is very expensive, and also told other people about you. I will defiantly continue to use your company. Have just moved from Australia to the UK and tried every website to try and find a reasonable priced courier to send all my xmas gifts back home. These guys were by far the cheapest AND not only that, they only use reputable couriers, DHL and FedEx. My quote said that it would be there in 3 days, however it arrived in only 2!! So very very happy with this service. Sent a parcel to Melbourne, Australia for daughters birthday. It was collected at lunchtime on wednesday and arrived in Melbourne midnight friday. If this had not been the weekend she would have got it saturday but instead it was delivered first thing monday morning. Very happy girl! I have been using this company to send high priority and important documents overseas. The courier chap always arrives on the day as stated and my deliveries tend to reach their destination within 2 to 3 working days be it Hong Kong or Australia. Getting a similar quote direct from the respective courier companies cost more, so for them to come to your house, pick up your documents and send them off for you , all for a lower price, it's really rather a no brainer! This service was booked on Thursday evening, picked up Friday lunch time and delivered to the recipient in Australia on Monday. Fast, efficient and I would recommend it without reservation. Will definitely be using Courierpoint again for further courier deliveries. If you are planning to ship anything, this company are very professional. I sent a 13kg box to Sydney, Australia from the UK....Door to Door service took 4 days!! You can complete everything online its quick and easy to follow. Strongly recommend this company . Fantastic service would defiantly use again . I needed to send a laptop for delivery from the UK to Australia for a birthday present for my daughter. Picked up on THURSDAY afternoon from Aberdeen and got a message back from my daughter on the following MONDAY telling me thanks for the Laptop... 3 business days delivery from the UK to Australia is what I call STUNNING performance.. It was insured and delivered for under 100 quid, and what can I say but what excellent service. The courier gave me instructions to pack, labels to print out and a invoice for customs value at under $1000 value, meant nothing for my daughter to pay in Oz.. Was insured full value as well. VERY VERY happy... will use again no question. Courierpoint fulfilled their obligations well. The document was picked up on a Wednesday 16 October within a couple of hours by DHL and arrived in Adelaide on Saturday. DHL gave final status details on 21 October at 23.59. The document was not delivered as expected on Monday 21, DHL said that they had given it to Australian Post, Australian Post said they hadn't.. Presumably DHL has to give documents to Australia Post to deliver. This document was in effect lost. The wrangling was still going on when on 24 October the postman delivered it. So, DHL is not door to door, as I expected, it also took 9 days. I was pleased that it was eventually delivered, but it was stressful. I needed to send a parcel to Australia which came in at 2.4Kg - the post office quoted me £58 but that was not tracked or signed for, the full price was £72 !! I had a look around on the internet for a courier and ended up payin £45 for the full service. The parcel was collected from my door on the Monday and arrived at it's destination by Friday, and I was able to track it all the way. I will definately use this service again, the post office should beware as they are not competative. 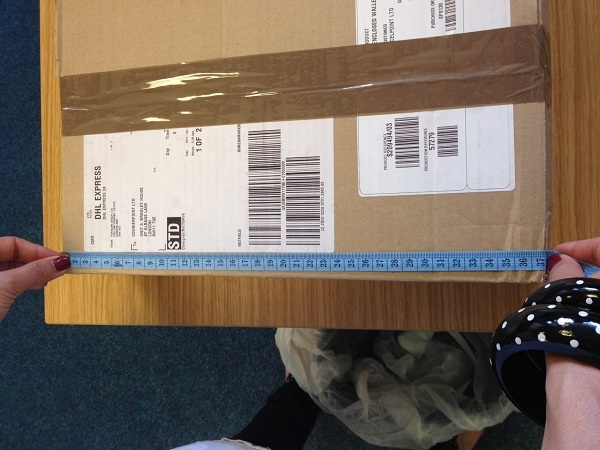 We sent two 20kg boxes packed with our personal effects from England to Australia after a 9-month stay in the UK. They were collected the day before we flew out and arrived the day before we did. Even given our two night stopover, that was amazing. Everything was handled professionally and making the arrangements was easy-peasy. The cost balanced against the value of the contents was well worth it. The boxes were a bit battered when they arrived but nothing was broken. Advice would be to use strong boxes and pack well. We would definitely recommend Courierpoint to anyone considering sending items abroad. I don't usually write reviews but was so impressed with the service I thought I would for once. The parcel was picked up on the same day and arrived in Australia within a few days. The pricing was competitive and much better than Royal Mail. I would definitely use Courierpoint again. When you are sending your international parcels to Australia you need to use reliable services, and we have found that the best international courier services to Australia are from the best branded carriers such as DHL, FedEx, UPS and TNT. Which is why Courierpoint has focused on working with and reselling these services. So that when you trust us with your shipment to Australia it will arrive in good condition and on time. Which is why our clients have rated us 5 stars in our independent reviews. Your selected courier will collect your shipment from your door at home, warehouse or office. Scan it into the system and then it will move through the carriers’ network from van to hub to aeroplane through to delivery. At each stage the shipment scans will enable you to track its progress through to delivery. Our dispatch system automatically emails notification of dispatch to the receiver and includes information on how they can also track their shipments progress, perfect for e-sellers as this reduces customer queries. Due to our bulk buying power we are able to offer both public and commercial regular senders’ preferential rates that keep our prices amongst the most competitive online, and when you factor in that you get our award-winning customer service support our services offer the best value when sending to Australia. Whatever the contents of the parcels that you need to send to Australia it is likely that we have a service that will meet your needs, or that we can put a bespoke solution in place. We work with businesses that are sending out orders worldwide, including Australia, and have a mixture of fast air express services to Australia and slower economy options. So that you can select the service that is perfect for your needs. We work with businesses that are despatching boxes and documents daily, to private individuals who needs to send, document, gifts or luggage to friends and family. Through our online booking portal, you can see, the transit times, costs and features of each of the services that we offer that meet your requirements in seconds. We can offer air express service to Australia that can collect in the UK and deliver to main cities in Australia in only 2 working days, for your urgent post to Australia. Our prices for sending documents of up to 500 grams in weight is from only £17.84, and being outside of the European Union there is no VAT to pay. We offer the best way to send a small parcel to Australia, because by using our services you are able to access the best international couriers that ship from the UK to Australia at preferential prices. Enabling you to send a 1 kilo small parcel to Australia from only £27 a parcel. This means that for an express delivery to Australia or a lower value economy shipment to Australia, that we have the perfect service for you. If your business needs to send an urgent small sample out to a client we can have it there is only 2 working days, door to door and signed for on delivery. Or if you just want to show someone that you care with a small gift, sending it through a courier service is the most reliable way to send it as you can track the shipment throughout is journey. If you need to send a parcel that contains a birthday gift, or have a purchase delivered to Australia, we have the perfect service. You can send a parcels with a weight of 5 kilos on our value economy service that will be collected from your door, routed by a premium international courier service and delivered on a signed for service in 5 - 10 working days from only £45.07. Whatever the reason that you need to send a heavy parcel or boxes from the UK to Australia we have a solution that will meet your needs. 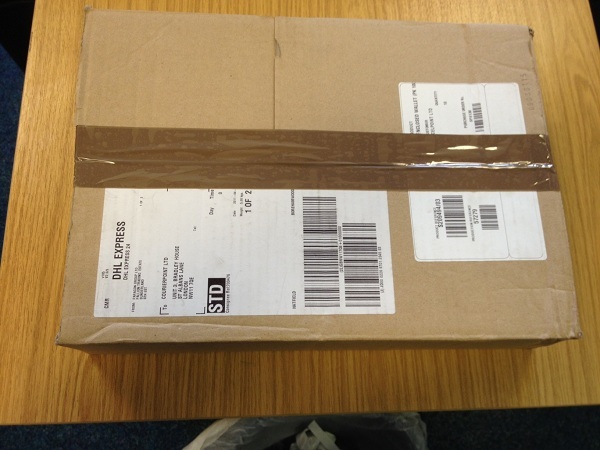 We can collect heave parcels up to 70 kilos per box in weight or up to 1000 kilos if they are palletised. So if you business has an order from a client to send out one heavy item, or a bulk order of several heavy boxes, you can get an instant delivery quotation on our pricing calculator. We offer specialist services for sending large parcels to Australia. Our carriers can accept items with a length of upto 2.7 metres, enabling clients to send large pieces of emergency machinery out by air to Australia in just 2- 3 working days. Often clients who send out larger items to Sydney or Perth will choose to palletise them for extra protection, as palletising your fragile items will ensure that the cannot be placed on a different side whilst in transit, helping to ensure that they arrive in perfect condition on arrival. Many Australians choose to spend a few months, or even years travelling and exploring Europe. Our specialist luggage shipping service offers the cheapest prices for sending your bags, luggage and boxes too and from Australia. So, if you are planning on relocating to the UK for work, higher education or just a long vacation, why not send all of your boxes and personal possessions ahead. We can will arrange for a branded courier to collect your bags from your door and deliver them to the address of your choice in just a few days. All for a price that is considerably discounted. Plus, you get the support of our customer service team, who are here to ensure that they are proactively checking all your luggage whilst in transit for extra peace of mind. Remember to ask for free suitcase label holders, as we know that the small extra things that we do make all the difference. You can also arrange to have, documents, parcels, luggage and pallets collected from anywhere in Australia and imported back into the UK. Many businesses take advantage of using our online import services for suppliers to use to send samples to the in the UK. Enabling the manufacturers to offer their products to buyers without having to pay for the courier costs. Our import account is also often used to import bulk orders of goods such as handbags and clothing, as we can arrange for both air express imports and economy import services, to meet every budget. So why not challenge us to save you money on your imports, we are here to help. If you need to send a pallet of your products over to Australia, your traditionally had a choice of air freight or sea freight services. Well now you have a third option via a door to door courier service. We offer a service that will collect your pallet from your warehouse, and send it by road and air to Australia in 7 - 10 working days. We will clear the shipment through customs and then deliver it directly to your door. This service is usually more economical than sending a bulk shipment on air freight, just get in touch for your personal quotation. We can move small pallets from 50 kilos, up to bulk shipment of multiple pallets with individual pallets being accepted up to 1000 kilos in weight. With the sunny climate, and the natural ease at which British people feel in Australia due to the shared language and values. It is no surprise that many of us are choosing to relocate or retire to Australia. When you are looking for removal firms to send your personal belongings to Australia, please consider our value economy service. This is an extremely economical way to send multiple boxes to your new home by one of the most reliable international courier services. Simply pack your possessions into boxes, and we will arrange for a driver to come and collect them from your door, they will then be routed by air to Australia, clear local customs and be delivered to your door in 7 - 10 working days. At each stage of the shipment you will be able to track your boxes whilst they are in transit. Just read some of the hundreds of positive reviews that we have, and you will know that you are in safe hands, when you trust us with your removal to Australia. For an instant quotation please call or go online to our instant quote calculator. We look forward to working with you. If you send freight out to Australia and need urgent delivery by air an economy price, so that you can win the order. Go to our online calculator and get an instant quote from some of the largest and best international couriers, including DHL, FedEx and TNT. You will be able to compare all the features and benefits of each of the services available and offer them all to your client. Whichever option you select, you will get a door to door fully tracked service, supported by our UK customer service team. Whatever freight you need to send to Australia, please get in touch and give us the opportunity to earn your business. If you are a private individual or business that is shipping boxes, suitcases or gifts to Australia we have a service that can deliver your goods in only 2 working days to main cities or 7 - 10 days on our value economy service. These services include collection from door, tracking throughout the journey, submission to customs for clearance, and then once released onwards delivery to your delivery address. All shipping to Australia includes free liability cover with an option for you to buy extra cover if needed and is a signed for service, for that extra peace of mind. For your instant quote for shipping to anywhere in Australia, please use our online quote calculator or get in touch with customer services and we will be happy to help. When you are looking for the most economical way to send a parcel to Australia, there are a few specific factors to take into consideration. 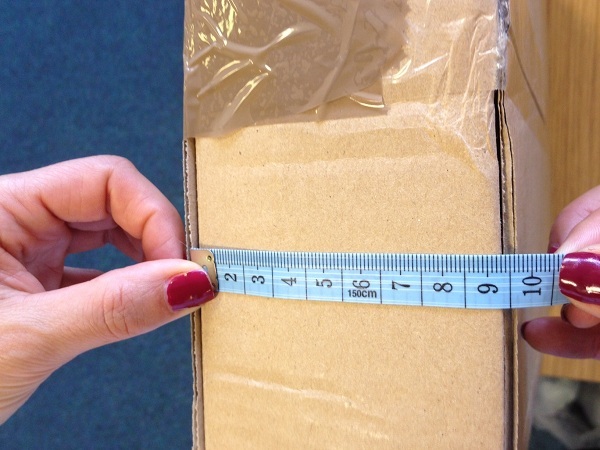 The first two are the size and the weight of the parcel that you need to send. The smaller and lighter that a box is, the less resources it will take to move it. Therefore, the lower the cost of shipping is, so firstly to keep costs low send as little as possible. Then the next factor is the speed that you would like to have the parcel delivered. If you send a parcel by sea, it can take 30 days to reach Australia, whilst a shipment by air express can arrive in 2 working days. Generally, the slower the service the lower the cost. You can get an instant quote for sending your parcel to Australia through our online calculator and with the huge discounts on reliable services that we offer, our services are the cheapest and most reliable way to send your parcels to Australia. 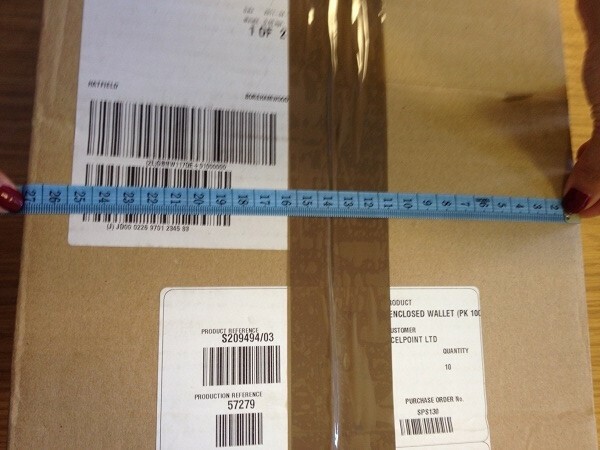 Once you know the size and weight of the parcel or parcels that you need to send to Australia. Get the complete delivery address, including zip code, and then go to our quick quote calculator. Here you can enter all the details of your shipment, and get instant quotes from the best branded international courier services. Allowing you to compares prices and services, just click on the question mark to see more information next to each result. If you have any questions, please get in touch with our customer service team through the live chat facility on the page for an instant answer. Many people in the UK have friends and family in Australia. If you would like to send, a card or gift over to them, we can help. Courierpoint offers a wide range of discount delivery services to Australia from air express to our value economy service. As Australia is outside of the European Union, the goods do have to be submitted to Australian customs for clearance, however for goodswith a value of AUD1000 or less, there are no duties, taxes or charges to pay at the border. Exporting your personal belongings when moving to Australia can be expensive. One way to keep these costs down, is to use a specialist authorised courier reseller such as Courierpoint. We are able to leverage our buying power to offer savings of up to 68% off branded carriers list rates. Enabling you to get very competitive rates for shipping your personal belongings to Australia with only very reliable leading courier services. All parcels will be labelled and fully tracked, allowing you to monitor their progress in transit. You will also get free included liability cover and the option to upgrade if you are sending any more expensive items. Just read what our clients say about our services and you will know that you will be looked after with kid gloves. We value your business and are here to help with any questions that you have. You can get an instant quote for moving your personal belongings to Australia by just visiting our online calculator and entering few details about your shipment. Many Australians choose to study in higher education in the United Kingdom. We understand that the cost of the fees, and living abroad and other expenses is expensive. So, we offer a 10% discount to all international students off their shipping. Just get in touch with customer service they will provide you with details of your course and we will give your a unique discount code to use. If it is not convenient to wait in for a driver to collect your parcel to Australia, we offer over 1200 drop off points through out the UK, that you can use to drop off your parcel or documents. We will then arrange for a driver to collect it from that drop off point and from then on it moves in exactly the same way as if it was collected from your door. Fully trackable at stage and with included liability cover. When you get a quote on our shipment calculator a drop off option will be displayed and you can then view your local drop off points are. If you have any questions or need any help with using our online portal please contact customer service, and we will be happy to assist you.